The Curriculum in B.Sc. & M.Sc. is structured to provide a common, broad-based foundation, imparting fundamental concepts and principles in Life Science through lectures, tutorials, discussions and presentations. 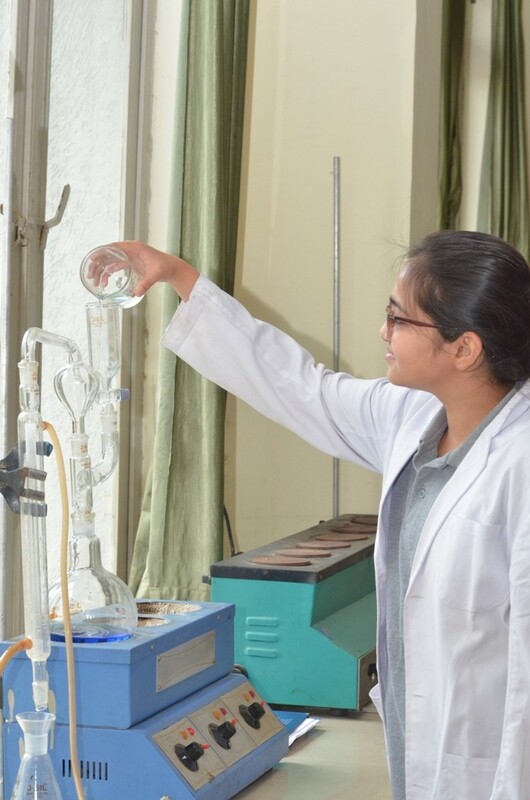 The curriculum has a significant practical component that trains students in experimental skills essential to Life Science. 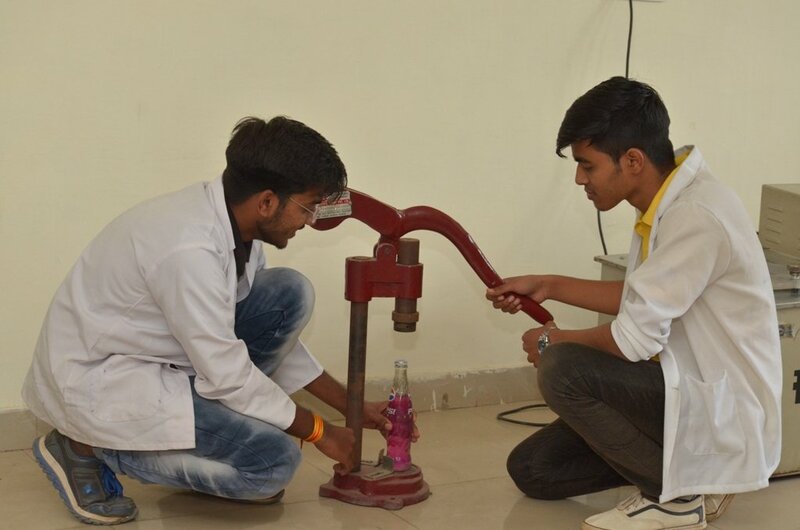 Student’s seminars and assignments are designed to be highly challenging, which paves way for the students to bring out their intellectual and interactive skills in analyzing scientific problems. 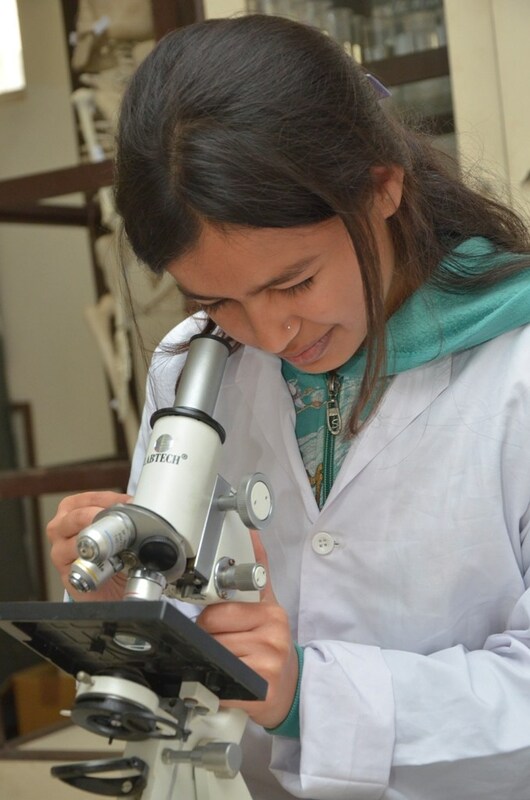 The students are required to do research as part of their curriculum and submit a project. Bringing theoretical knowledge of classrooms with practical skills development through workshops, training, project work etc. Updated and regularly evaluated course curriculum with emphasis on cutting edges technology and there practical and industrial application. Our teaching learning process provide student both weak and sharp equal opportunity to plan, access and improve his academic theoretical and practical skills. Highly educated faculty with strong alignment for research and development. Most of the faculties are Ph.D. and PDF holders. 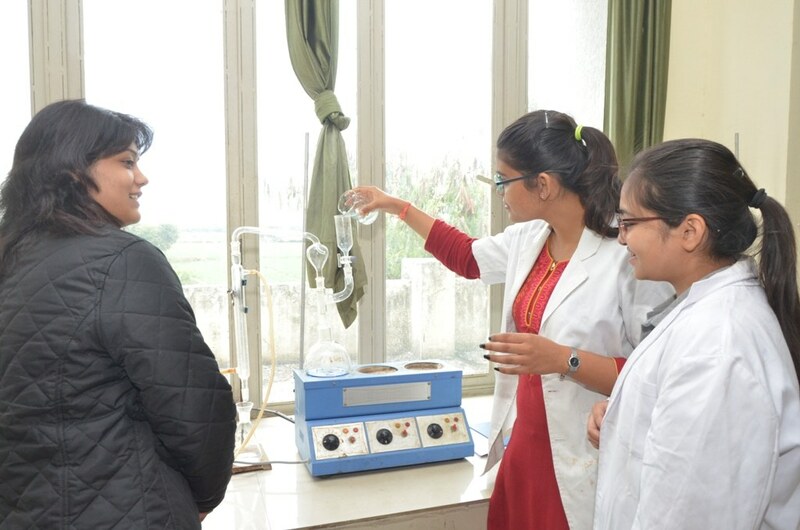 Congenial environment for the holistic development of the student. We do not provide jobs but prepare the student for best jobs. 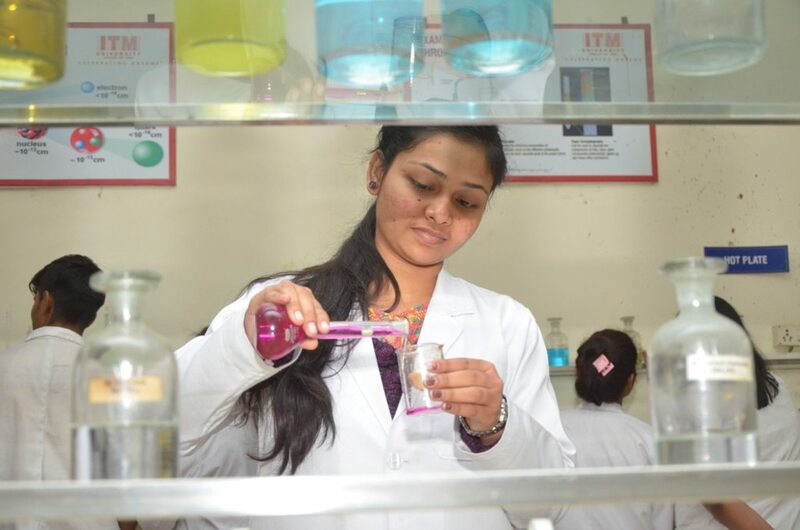 In the area of Pharmaceuticals & diagnostics, Food & Beverage industries, Quality control, Research and teaching. The syllabus content is of high standard and enable student to compete in important competitive examination. 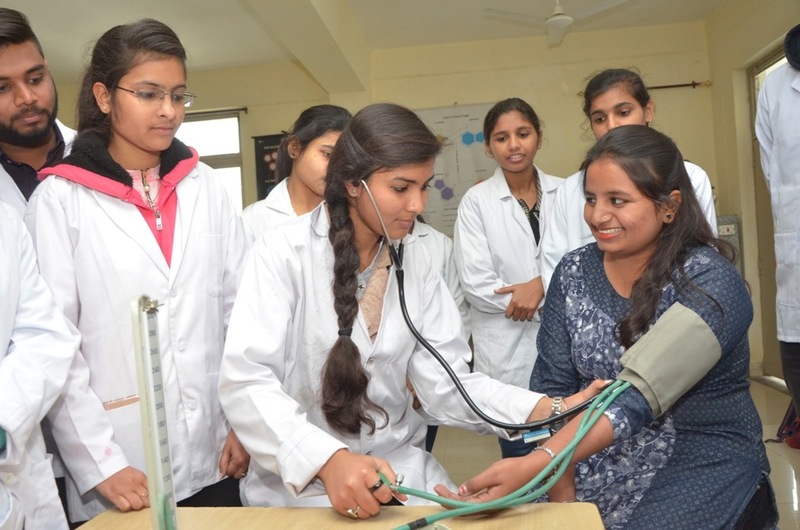 It provides academic excellence in both theoretical and practical aspect. 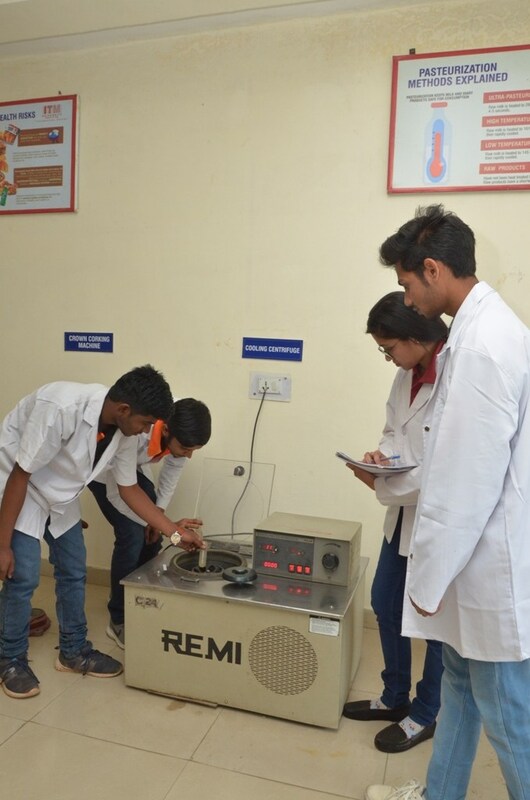 Students are trained according to the Industrial approach. The undergraduate and post graduate programs are designed so as to provide a continuous augmentation and training for the development of soft skills of the students. Track record of highest placements in true sense in the region. Alumni of the department – Placed in top notch companies and research institutions. DBT Sponsored Millennium Lecture Series – leading researcher and academics delivered lectures and interacted with students: H.G. Raj, Patel Chest Instt. New Delhi, Prof. M.K. Raazdan, Univ. of Delhi, Prof. Ashok Bhatnagar, Univ. of Delhi delivered lectures and interacted with the students. 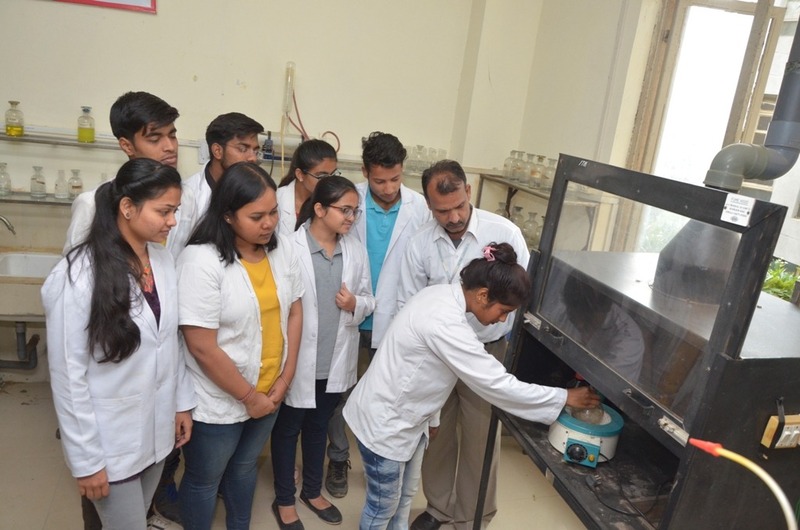 Industry-Institute Interaction: 2 – Days workshop organized by HH Biotech, Lucknow. 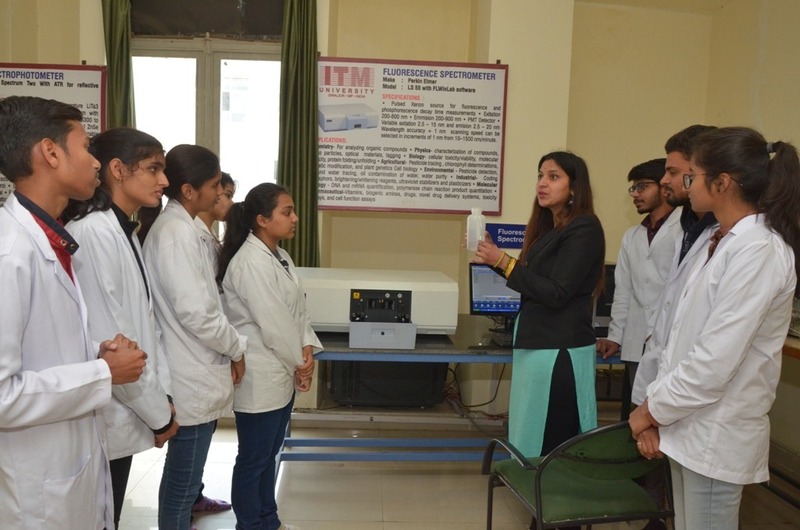 Industrial visits are organized regularly to different industries related to fermentation, pharmacy, food, diagnostics etc for real exposure to the students. 100% results in University Examination. 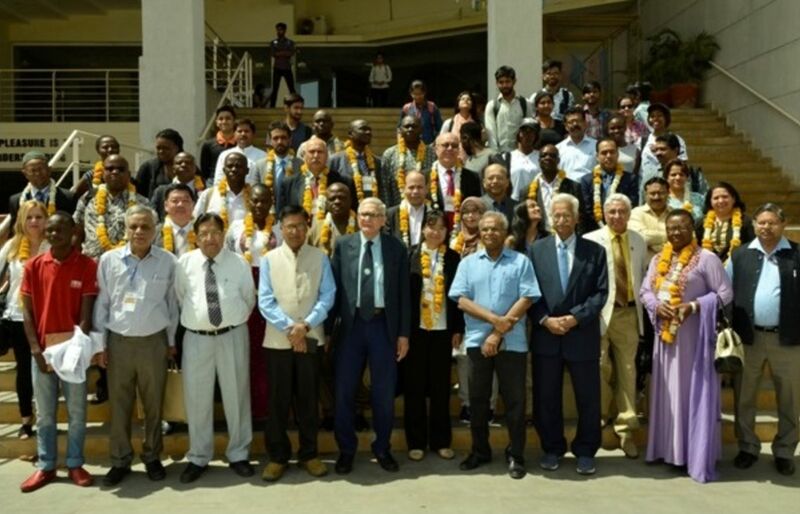 05 International Conferences on Climate Change and Sustainable Management of Natural Resources organized by the School of Life Sciences in 2009, 2010, 2012, 2014 and 2015 where over 1000 delegates from the academia, Research Institutions and Industry participated. 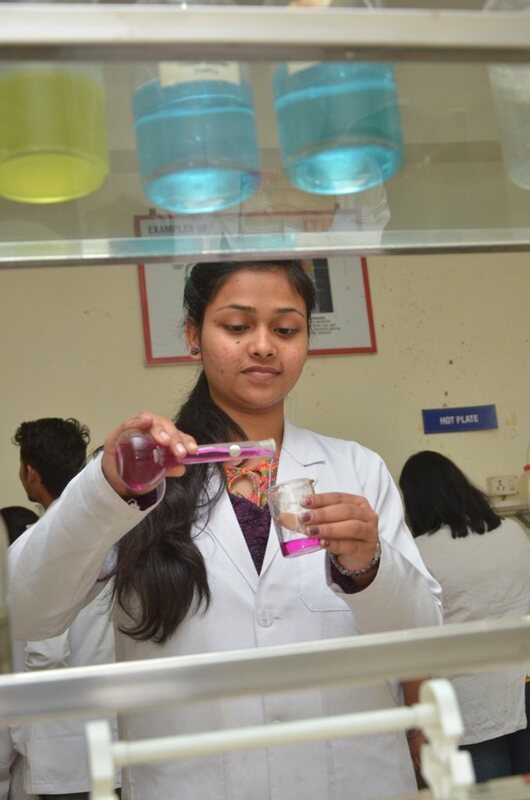 The Department of Life Sciences has many research projects from different funding agencies such as Madhya Pradesh Council of Science & Technology (MPCST), Bhopal and Department of Science & Technology (DST), New Delhi. 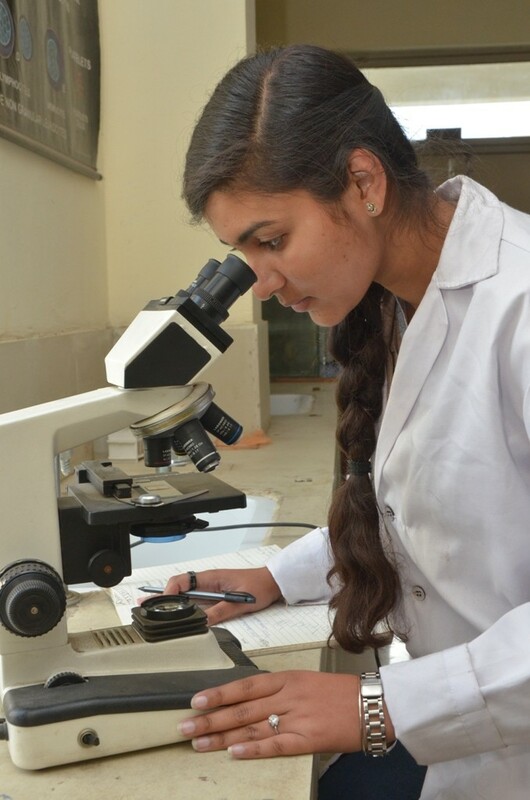 20 Ph.D scholars are enrolled in the School of Life Sciences and are undertaking their research work in frontline areas of Biotechnology, Microbiology & Environment Sciences. Research work of 03 Ph.D scholars (Mr. Alok Dwivedi. Mr. Ramendra Singh and Ms. Charu Singh ) from the department of Life Sciences were selected and presented in the 31st Young Scientist Congress and Science Festival organized by Madhya Pradesh Council of Science and Technology at Vigyan Bhavan, Bhopal 28th -29th February 2016. 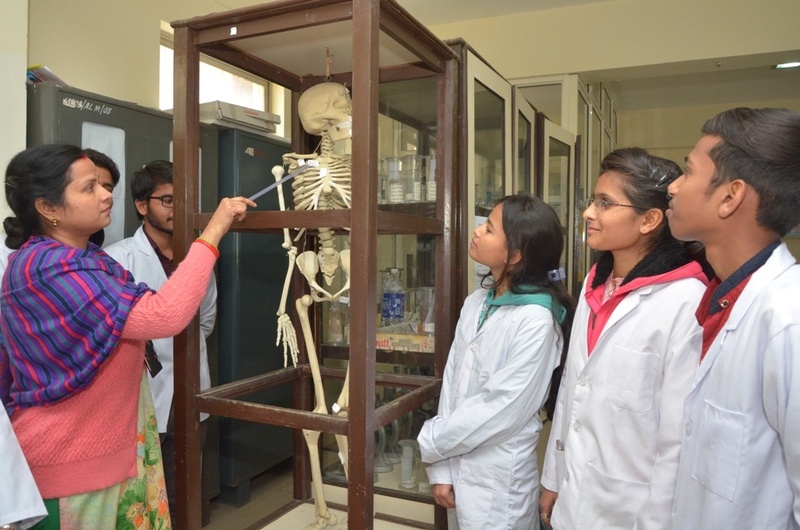 Their research papers were awarded Fellowship for training of Young Scientist (Rs. 10000/- per month fellowship, 5000/- T.A & DA and 5000/- contingency for 3-6 months). Mr. Mohit Kumar Mandeliya Student of B.Sc Biotech Batch 2013-15 has cleared the CAT and has been admitted to the prestigious IIM Shillong for the MBA programme. Mr. Ravi Sham Prasant student of M.Sc Biotechnology Batch 2014-16 has undergone 06 month M.Sc dissertation in the prestigious NCCS, Pune in the Proteomics Lab and he is the only candidate to be selected from the state of Madhya Pradesh. Mr. Devrat Pawar student of B.Sc Biotechnology Batch 2013-15 has been selected to pursue M.Sc in Conservation of Wild Life in the University of Kent, U.K.
Mr. Devrat Mahipat Rao Pawar student of B.Sc IVth Semester Biotechnology was awarded the IInd prize in the event Photography in the Central Zonal Youth Festival at Warangal (A.P) 2014. Mr. Karan Sharma, Chirag Godhar & Sarvesh Kumar Student of B.Sc Biotech Batch 2011-14 were selected in WIPRO Technologies for 02 years internship M.S programme. 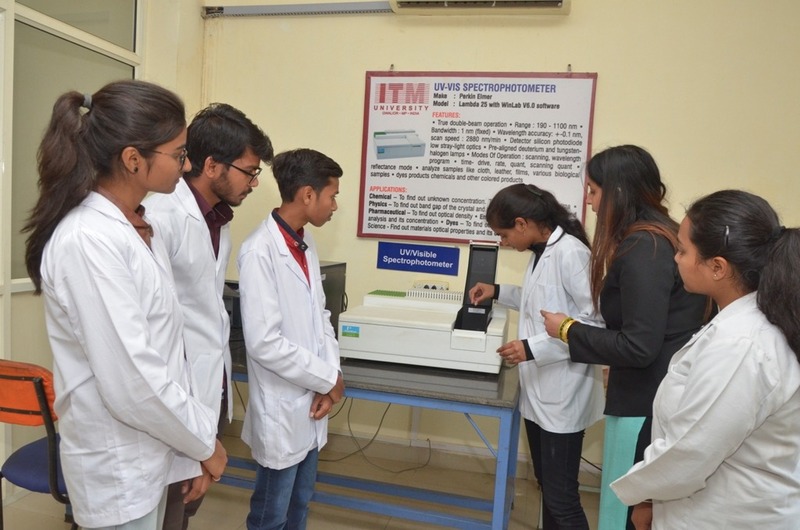 Sophisticated Analytical Instrumentation Facility has FTIR,Double beam UV-Spectrophotometer,PCR , ELISA Reader, Corking machine, Muffle furnace, Soxhlett apparatus. 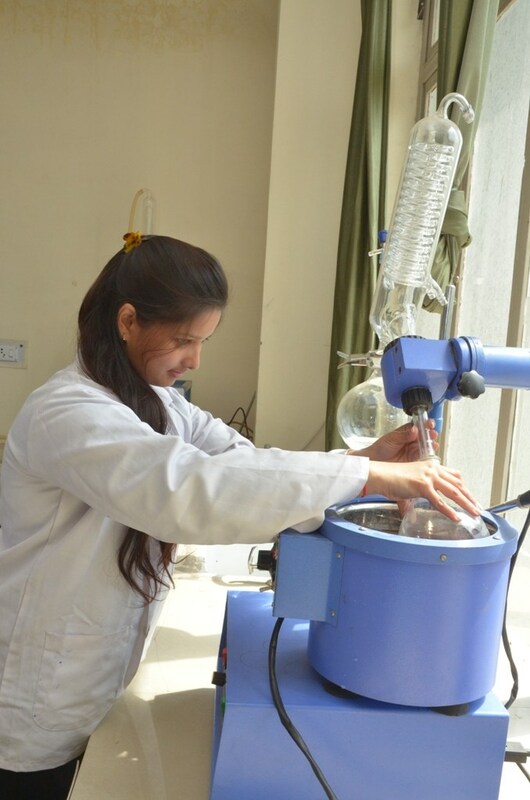 Rotary evaporator, Cooling centrifuge, Refractometer, Kjeldhal apparatus, Double distillation unit. Workshop on New Product Development & by Product Utilization of food 25 January 2018, Department of Food technology( School of Sciences) , ITM University Gwalior, The workshop was self funded. 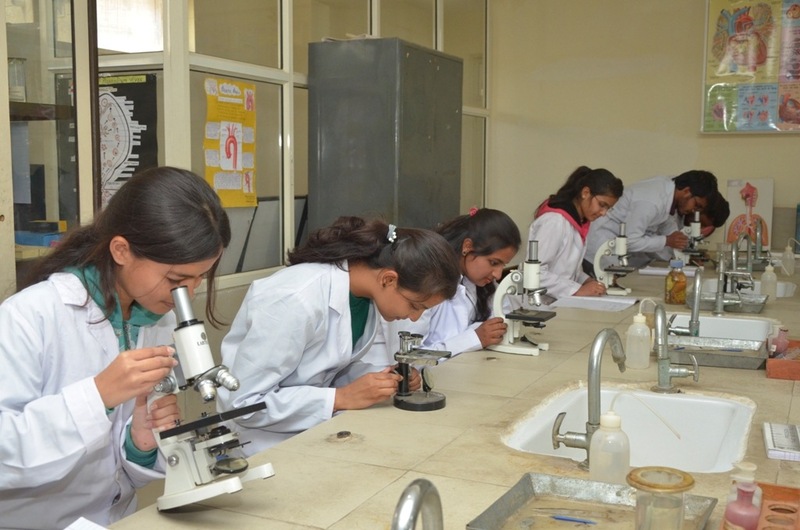 Students from Jiwaji University, KRG College and ITM University have participated in different categories. Total 173 students registered for the workshop. Convener: Dr. Richa Kothari, Dean School of Sciences. 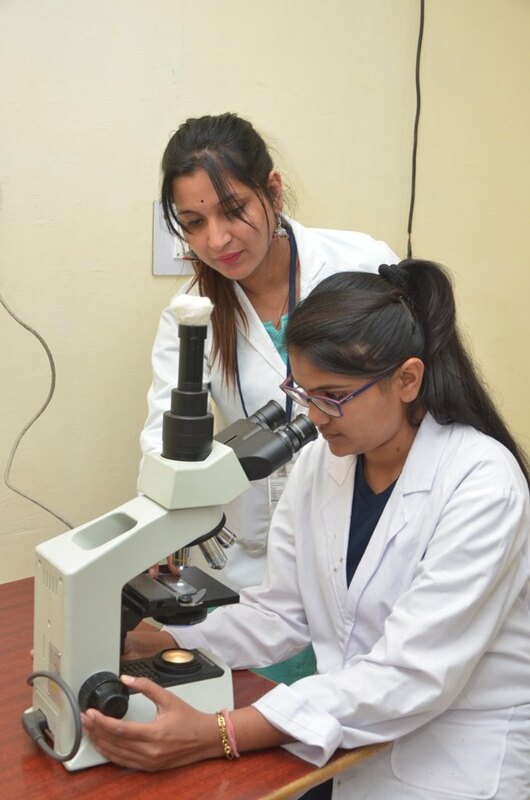 Organizing secerataries: Ms. Surbhi Antarkar & Mrs. Varsha Chauhan. 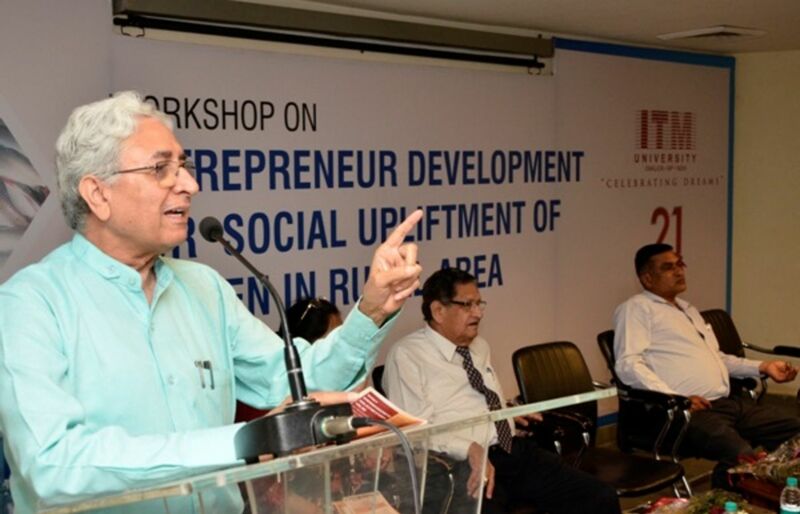 Workshop on “Entrepreneur Development for social upliftment of women in Rural Women ” Under SSED Proposal Sponsored by MPCST, Bhopal was held in ITM University 12-13, April 2018. A grant of Rs. 40,000/ was sanctioned to the department. International Workshop On Technological Innovation And Management For Sustainable Development 27-29 March, 2018. Title: Process of synthesis of decamethylcyclopentasiloxane (D5) by Penicillium sp. KF952244. 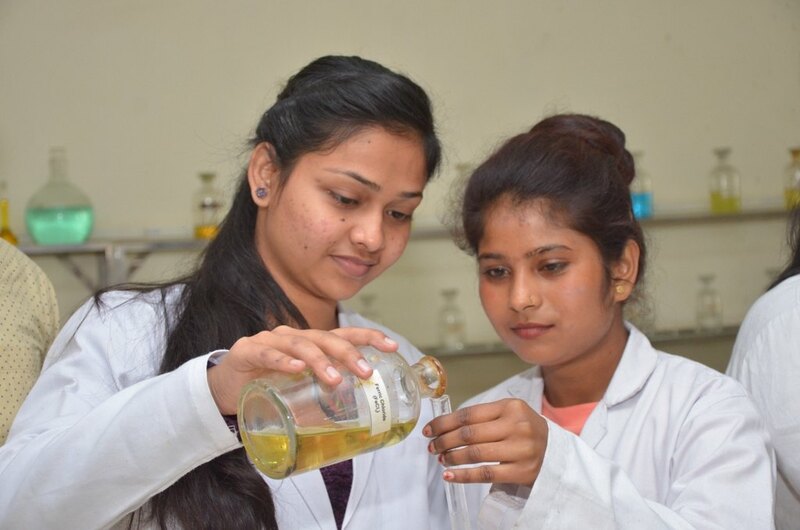 Sonia Johri, Neha Khan: Invitro antioxidant and antihaemolytic potential of Triticum aestivum grass. International Journal of Complementary and alternative medicine. Vol.9 Issue5 00310. 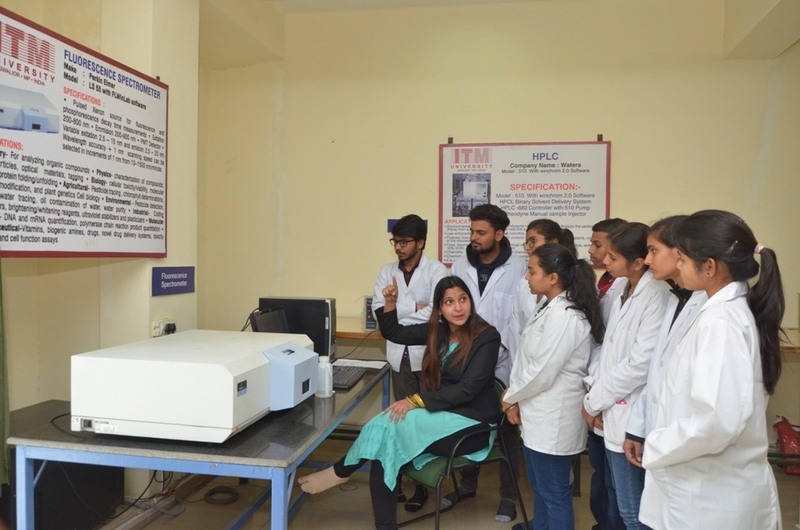 R Vijayaraghavan, Sonia Johri2 & Sangeetha Shukla Short term inhalation exposure to silica aerosol on respiratory parameters monitored by online computer programme in miceIndian Journal of Experimental Biology Vol. 56, May 2018, pp. 351-356. Sonia Johri, Neha Khan, Nasir Khan: Phytochemical screening, biochemical estimation and spectroscopic analysis of various extracts of Piper betel leaves, International Journal of Pharma Research and Health Sciences.2017;5(6)1896-03. 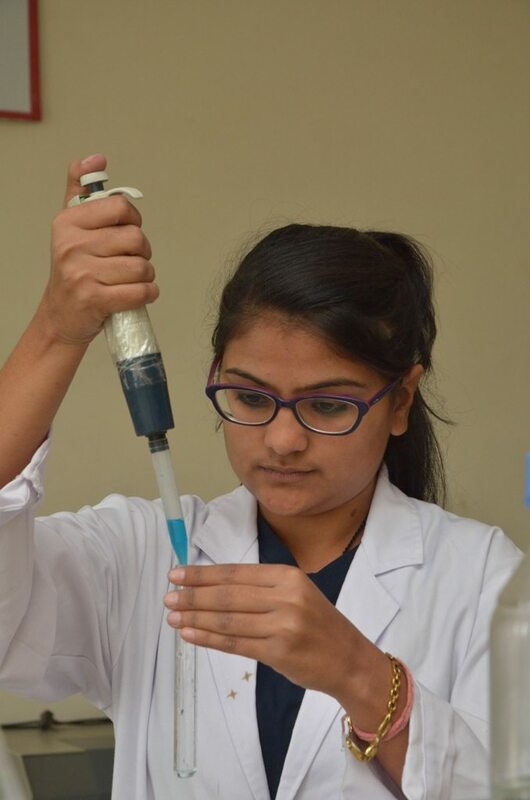 Sonia Johri and Neha Khan Assessment of in-vitro antioxidant and antihaemolytic potential in Triticum aestivum grass and Carica papaya leaves. Indo American Journal of Pharmaceutical research 2017. Sonia Johri* Antioxidant and Metal Chelating Activities From Various Solvent Extracts in P. betel, C. papaya Leaves and T. aestivum Grass. Journal of Chemical and Pharmaceutical Research, 2018, 10(6): 128-134. 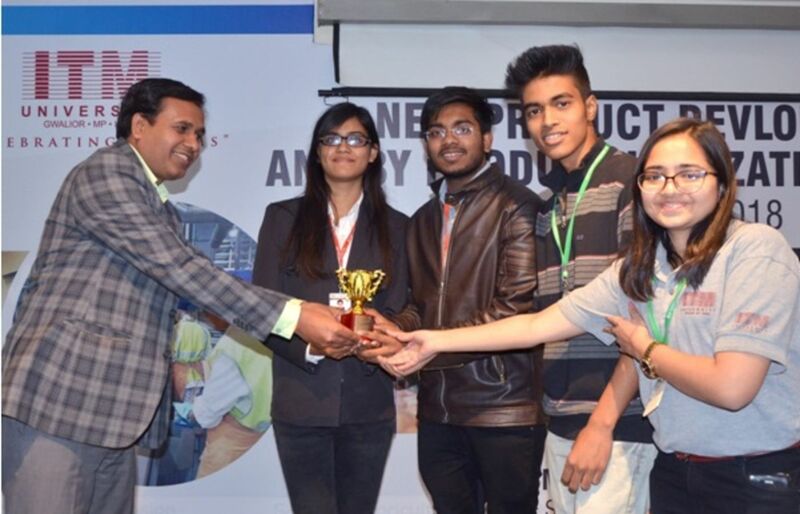 Santosh Kumar*, Sachin Gupta, Sarika Saxena, Rajkumar Yadav, Ankur Thakur, Chandrabhan Seniya, O. P. Verma (2013). Insilico analysis and 3D structure prediction of matrixprotein of Nipah virus. (Journal of Advanced Bioinformatics Applications and Research Vol-04, Issue-1, 391-395). Santosh Kumar*, Sachin Gupta, Sarika Saxena, Rajkumar Yadav, Ankur Thakur(2013) Inslico characterization and 3D structure prediction of NADH cytochrome B5 reductase..(International Journal of Advanced Technology & Engineering Research Vol-3, Issue-1, 121-124). Chandrabhan Seniya, Sanjay Kumar, Atul Kumar Singh, Santosh Kumar Verma and Sachin Kumar (2013). Antibacterial and phytochemical analysis of some medicinal plants andtheir efficacy on multidrug-resistant bacteria (Journal of Pure and Applied Microbiology, Vol.-07, Issue-03). Mritunjay, S.K. and Kumar, V., 2016. Microbial Quality, Safety, and Pathogen Detection by Using Quantitative PCR of Raw Salad Vegetables Sold in Dhanbad City, India.Journal of Food Protection, 80(1), pp.121-126. Mritunjay, S.K. and Kumar, V., 2017. A study on the prevalence of microbial contamination on the surface of raw salad vegetables. 3 Biotech, 7(1), p.13. Usmani, Z., Kumar, V. and Mritunjay, S.K., 2017. Vermicomposting of coal fly ash using epigeic and epi-endogeic earthworm species: nutrient dynamics and metal remediation.RSC Advances, 7(9), pp.4876-4890. Mritunjay, S.K. and Kumar, V., 2015. The fresh farm produces as a source of pathogens: a review. Research Journal of Environmental Toxicology, 9(2), p.59. Rahul, J., Jain, M.K., Singh, S.P., Kamal, R.K., Naz, A., Gupta, A.K. and Mrityunjay, S.K., 2015. Adansonia digitata L.(baobab): a review of traditional information andtaxonomic description. Asian Pacific Journal of Tropical Biomedicine, 5(1), pp.79-84. Rita Sharma and Dr Kuldip Dwivedi (2015). Genetic diversity studies in micro-propagated plants of Simarouba glauca. Progressive research- An International Journal; Vol. 10(Special-VII):4012-4015. Rita Sharma and Dr. Kuldip Dwivedi (2016). Micropropagation studies in Simarouba glauca (a multipurpose plant) – A review), National J. of Applied, Natural and Socialsciences; Vol.2 (2); 5-12. Rita Sharma and Dr. Kuldip Dwivedi (2016). Standardization of surface sterilization treatment during in vitro regeneration of Simarouba glauca. International J. of Applied, Natural and Social sciences; Vol.4 (7):175-180. Pallavi Singh Chauhan, Rajesh Singh Tomar, Vikas Shrivastava. Bio-fabrication of Copper Nanoparticles: A Next Generation Antibacterial Agent against Wound Associated Pathogens. Turkish Journal of Pharmaceutical Sciences. 2018. TJPS., 15. Pallavi Singh Chauhan, Vikas Shrivastava, GBKS Prasad, Rajesh Singh Tomar. Effect of Silver Nanoparticle-Mediated Wound Therapy on Biochemical, Hematological, and Histological Parameters. 2018. APCR., 11(3), 251-258. Vikas Shrivastava, Pallavi Singh Chauhan and Rajesh Singh Tomar. A Biomimetic Approach for Synthesis of Silver Nanoparticles using Murraya paniculata Leaf Extract with Reference to Antimicrobial Activity. J. Pharm. Sci. & Res. Vol. 8(4), 2016, 247-250. Vikas Shrivastava, Pallavi Singh Chauhan and Rajesh Singh Tomar. Nanobio technology: A Potential Tool For Biomedics World Journal Of Pharmacy And Pharmaceutical Sciences.2015; 4(5): 1929-1943. Tomar R.S., Chauhan P.S. and Shrivastava V. A critical review on nanoparticles synthesis: physicochemical v/s biological approach. World journal of pharmaceutical research, 2014; 4(1): 595-620. Vikas Shrivastava, Pallavi Singh Chauhan and Rajesh Singh Tomar. Bio-Fabrication of Metal Nanoparticles: A Review. International Journal of Current Research in Life Sciences, 2018; 7(4): 1927-1932. Rajput H and Prasad SGM. 2018. 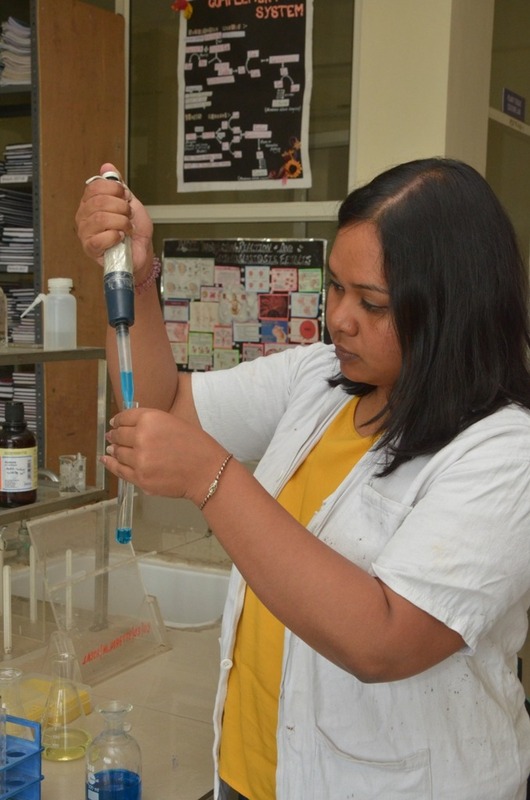 Nutritional quality analysis of dry moringa powder variety-pkm-1. The Pharma Innovation Journal. (Accepted). Chauhan S and Rajput H. 2018. Production of gluten free and high fibre cookies using beetroot waste powder and wheat flour husk. The Pharma Innovation Journal. (11): 556-558. Singh N, David J, Thompkinson DK, Seelam BS, Rajput H and Morya S. 2018. Effect of roasting on functional and phytochemical constituents of finger millet (Eleusinecoracana L.). The Pharma Innovation Journal. 7(4):414-418. Singh N, David J, Thompkinson DK, Rani R and Rajput H. 2018. Effect of banana pulp on sensory characteristics of non-dairy yoghurt prepared from soymilk, peanut milk and finger millet flour. International Journal of Creative Research Thoughts. 6(2):490-497. Kaur N, Aggarwal P and Rajput H. 2018. Effect of Different Blanching Treatments on Physicochemical, Phytochemical Constituents of Cabinet Dried Broccoli. Chemical Science Review and letters. 6(21):88-93. Kaur N, Aggarwal P and Rajput H. 2018. Implications of the drying techniques for effective preservation of broccoli. International Journal of Food Science and Nutrition. 3(1):165-175. Rajput H and Srivastava P. 2017. Nutritional value of fresh moringa oliferiea (pkm-1) leaves. The Allahabad Farmers. (1):8-10. Rajput H, Prasad SGM, Srivastava P, Singh N, and Morya S. 2017. Development of fresh Moringa oleifera leaf jam and its physicochemical properties. International Journal ofFood Science and Nutrition. 2(6):234-238. Rajput H, Prasad SGM, Srivastava P, Singh N, Suraj L. and Chandra R. 2017. Chemical and phytochemical properties of fresh and dried moringa oliferiea (PKM-1) leaf powder.Chemical Science Review and letters. 6(21):88-93. Srivastava P, David J, Rajput H, Singh S and Singh R 2017. Preparation of Low-calorie dietetics desserts using custard apple and strawberry. International Journal of Food Science and Nutrition. 3(1):01-05. Kaur G, Aggarwal P and Rajput H. 2016. Development and storage stability of thermally processed mixed vegetable ready to serve (RTS) juice. Indian Horticulture Journal.Vol. 6(3): 338-342. Ankit Dayal, Anju Bhat, Rafia Rashid, Jagmohan Singh and Sushil Sharma. 2018. Effect of Whey Protein Isolates on the Properties of Freeze Dried Aloe vera (Aloe BarbadensisMill) Powder. International Journal of Current Microbiology and Applied Sciences, 7(4): 2071-2079. Ankit Dayal, Anju Bhat, Rafia Rashid. 2018. Effect of maltodextrin on the properties of lyophilized Aloe vera (Aloe Barbadensis Mill). Journal of Pharmacognosy and Phytochemistry, 7(4):1604-1608. Rafia Rashid, Anju Bhat, Ankit Dayal, Monica Sood and Sushil Sharma. 2018. Studies on storage stability of guava RTS. The Pharma Innovation Journal, 7(5):230-233. Ankit Dayal and Vinod Kumar Modi. 2017. Qualitative and Functional Properties of Chicken Based Egg Spread, Research Journal of Agricultural Sciences, 8(1): 129-133. Srivastava P, David J, Rajput H, Singh S. and Singh R. 2017. Preparation of low-calorie dietetics desserts using custard apple and strawberry.International journal of food science and nutrition (1):01-05. Rajput H, Prasad SGM, Srivastava P, Singh N, Suraj L. and Chandra R. 2017. Chemical and phytochemical properties of fresh and dried moringa oliferiea (PKM-1) leaf powder. Chemical Science Review and letters. 6(21):88-93. Rajput H, Prasad SGM, Srivastava P, Singh N, and Morya S. 2017. Development of fresh Moringa oleifera leaf jam and its physicochemical properties. International Journal of Food Science and Nutrition. 2(6):234-238.